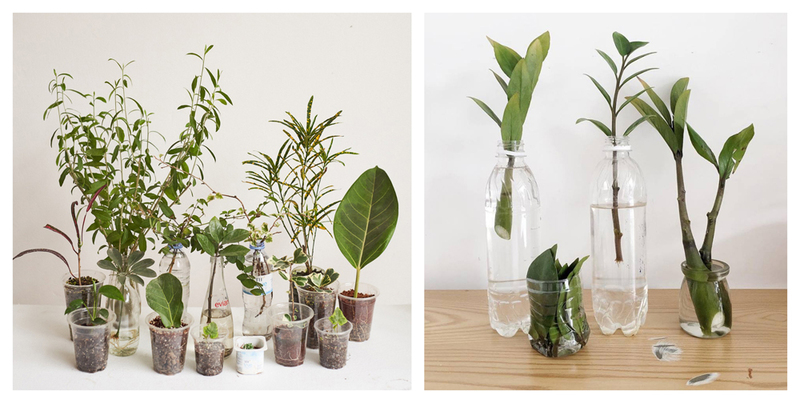 By 'stuffing' plastic bottles with trees and plants, Nguyen Manh Tuan created a mini forest in his house. Tuan, 26, might or might not know or subscribe to a zero-waste lifestyle, but he is doing his part to get there. 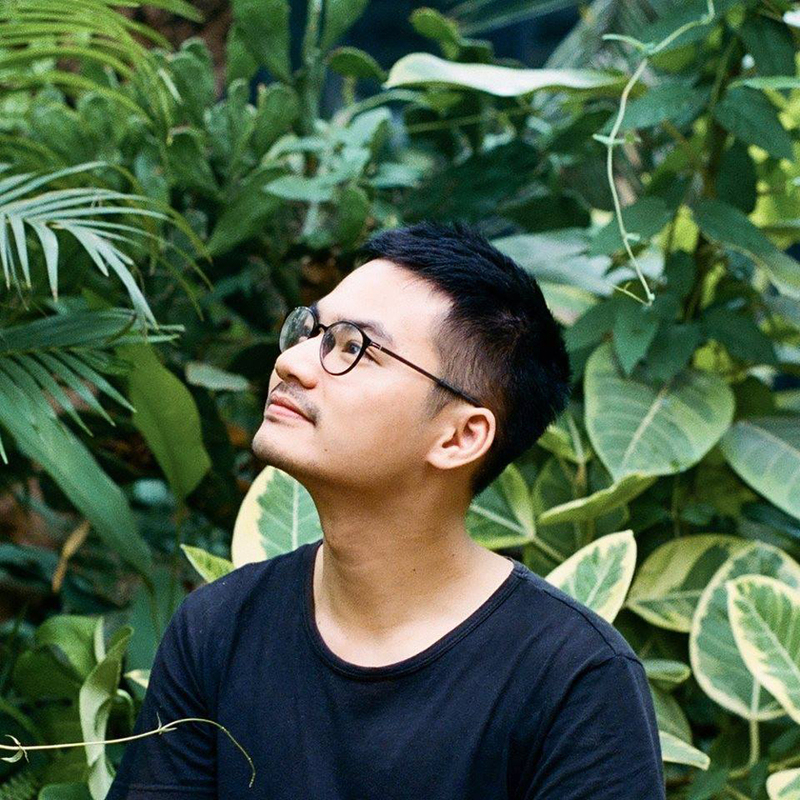 Tuan, 26, might or might not know or subscribe to a zero-waste lifestyle. As a photographer who lives in the central province of Nghe An, Tuan has chosen to build his own "forest" with thrown-away plastic bottles. He began doing this last year, and now has more than 150 trees of over 80 different species at home. Tuan has loved plants and trees since he was a child and only feels comfortable if there are plants in the house, so his family's living space has always been green. "Planting trees help me have a cooler and fresher living space; this is also a way for me to reduce stress in life and work," said Tuan, explaining his passion. "They especially help me connect with many new friends who share this passion." His family's living space has always been green. In his free time, Tuan goes around Vinh Town, where he lives, and collects plastic bottles from parks, acquaintances’ homes, coffee shops and fast food restaurants. His plants cost him nothing, since he plucks weeds from streets, or receives them as gifts from acquaintances and family members. He cleans the plastic containers and fills them up with soil. He kills two environmental birds with one stone - planting trees and recycling plastic waste. "The idea of planting and incubating plants in recycled bottles is actually practical. I have lots of plants but a few pots. "I also follow a minimalist lifestyle, so I think carefully before buying any home appliance. It is just very practical to make use of plastic and glass cups and bottles for planting trees. "I only know how to plant trees, so I use bottles to make pots, sometimes I also make cement pots, using a bottle as a mold." Tuan became an environmental activist in 2016 when he started picking up trash from public areas. Then he started thinking of ways to combine his love for plants and desire to protect the environment. He researched plant species, soil and climate conditions. In his house, he utilizes every space to keep his plants - the balcony, the kitchen and corridors. He chooses a specific plant species to put in a place, depending on its need for light and humidity. Tuan is also happy to give his friends his beautiful plants and to take care of other people’s trees. He said he wants to spread his love for plants and the environment to everyone, especially young people. "I have a dream of planting green forests between buildings so that people can live in harmony with nature." Vietnam wants to climb 5-7 places in the World Bank’s ease of doing business rankings and reach the top four in Southeast Asia. (BGO) – 18th People’s Council deputy delegation in the northern province of Bac Giang on November 14 met with constituents in 8 wards and communes of Le Loi, Tran Phu, Ngo Quyen, Tran Nguyen Han, Hoang Van Thu, My Do, Da Mai and Song Mai in Bac Giang city to prepare for the six meeting of the provincial People’s Council (18th tenure). More than 200 photos and objects featuring impacts of Agent Orange (AO)/dioxin on the environment as well as human health are on display at an exhibition that kicked off in the central province of Thua Thien-Hue on October 25. The United Nations Educational, Scientific and Cultural Organisation (UNESCO) and development partners launched the project “For a World Without Waste” in Hanoi on October 17.